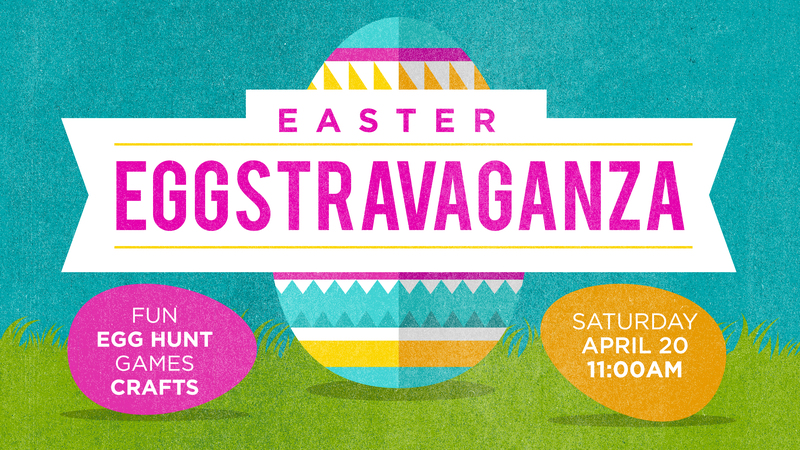 Join us for our annual Easter Eggstravaganza family event on Saturday April 20 from 11AM to 12:30PM. A fun event for the whole family!! Kids, age 2 through 5th grade, and their families will enjoy an Easter story, games and crafts, refreshments and an egg hunt. This event will be held rain or shine. Questions? Contact Jill Freese at 392-5253 x1208 or jtfreese@lakeshorechurch.org. Click REGISTER button below to volunteer for this year's Easter Eggstravaganza. EASTER WEEKEND at Lakeshore has something for everyone in your family to learn about the love that Jesus Christ has for each one of us. From the Good Friday service the Easter Eggstravaganza and Easter services you'll be able to come experience a time of fun and encouragement. So this Easter, why not visit Lakeshore and give church a try?